What a silly thing to say–the English department reads. Of course we read; it’s what we do for a living. In the title of this post I was riffing off the popular CBC radio contest “Canada Reads” where Canadian celebrities (that seems like such an oxymoron) suggest a book that they think all Canadians should read and then argue for their pick over a series of weeks. Each week sees one book–Survivor-like–get voted off the table. 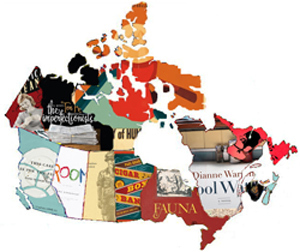 The books on Canada Reads don’t have to be Canadian, but they often are.